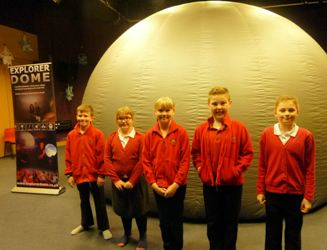 On Friday 11th March the children from Years 5 & 6 attended the Explorer Dome at Holsworthy Community College. The theme this year was the Human Body. They looked at the digestive system following the food down the oesophagus and into the stomach where they learnt about the strength of stomach acid. 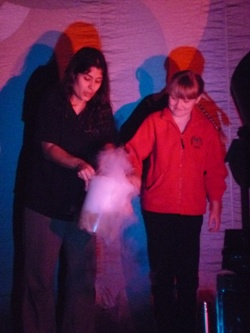 This was illustrated by adding dry ice to simulate the stomach acid and the way it dissolves the digesting food. 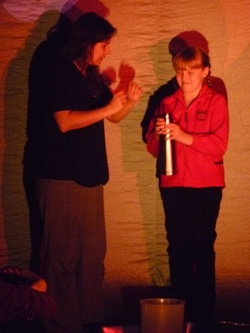 The session was very informative and everybody enjoyed the experience immensely.